In Powys Teaching Local Health Board v. Dr. Piotr Dusza and Dr. Hako Sobhani  EWCA Civ 15 the Court of Appeal interpreted certain clauses of the General Dental Services (GDS) Contract. 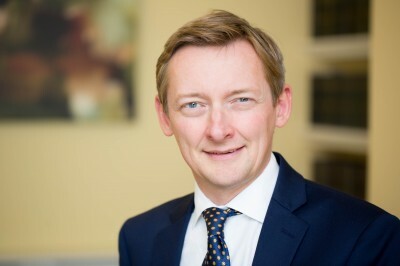 Carl Harrison, Barrister at 30 Park Place, assesses the impact of the judgment in Dusza and Sobhani on the interpretation and implementation of the GDS Contract. Before considering Dusza and Sobhani it will assist the reader to know why the GDS Contract was introduced and how it works. Prior to April 2006, dentists who carried out NHS dental treatment were paid on a fee per item of service basis which meant that the more NHS treatment provided by a dentist the greater the fee received. This was a piecework system in which a dentist’s income fluctuated from month to month. This all changed on 1st April 2006 with the introduction of the General Dental Services (GDS) Contract which was created by Regulations . The GDS Contract introduced a fixed annual contract value (ACV). When first introduced, the ACV was based upon the amount of NHS dental work that had been provided by a particular dental contractor in the months prior to the commencement of the GDS Contract. The GDS Contract guarantees income for 12 months paid in 12 monthly installments of the ACV. The rationale behind the GDS Contract was that it provides greater certainty of payment to the dental contractor and the NHS. The ACV is expressed as Units of Dental Activity (UDA) and sets a target which must be met by a dental contractor. The monetary value of a single UDA increases each year which in turn increases the ACV. If the dental contractor fails to meet his UDA target, Local Health Boards in Wales or NHS England can use clawback provisions contained in the GDS Contract to recoup the funds paid in consideration for the provision of the contracted number of UDA. There are three Banded Courses of Treatment (COT) . Band 1 (B1) includes an examination and the planning of treatment and is worth 1 UDA. Band 2 (B2) is the provision of treatment such as a filling, extraction or root canal work and is worth 3 UDA. Band 3 (B3) is the provision of an appliance such as a bridge, crown or denture and is worth 12 UDA (which includes the cost of the appliance). A B3 will typically involve a number of visits to the dentist. A patient has an examination (B1), an extraction (B2) and a crown (B3) the dental contractor is entitled to make a claim for the provision of a B3 COT. The dental provider does not get any additional payment for the provision of the B1 and B2 elements. The dental contractor would be credited with 12 UDA. A patient has an examination (B1) and the dentist identifies that a patient requires two fillings and two extractions (B2) the dental contractor is only entitled to a single B2 claim (upon completion) as all identified treatment must be provided pursuant to a single COT. The dental contractor would be credited with 3 UDA. The fees for items of treatment increased with the introduction of the GDS Contract to take into account multiple treatments. There are plainly winners and losers under this system. In the years since the introduction of the GDS Contract some dental contractors have tried to get around the restrictions of a single COT for all identified treatment by splitting what should have been provided pursuant to a single course of treatment into two or more claims. This can result in both the LHB and patients paying more than they should for treatment provided. In 2012, the NHS estimated that during 2009-2010 almost 1 million inappropriate claims were made, of which 27% were for split treatment . Treatment splitting has resulted in the prosecution of a number of dentists for fraud . Now that we have some background knowledge of the mechanics of the GDS Contract it is time consider the judgment of the Court of Appeal in Dusza and Sobhani (Respondents). The Respondents were dentists in partnership at a dental practice in Llanidloes, Powys. In January 2009 they entered into a GDS Contract with Powys Teaching Local Health Board (Powys LHB). Under the terms of that contract they were entitled to an ACV of £510,762 which was payable in equal monthly installments in consideration for the provision of 19,347 UDA per financial year. In some patient records the Respondents did not record that a full mouth examination (FME) of that patient had taken place at the commencement of a COT. Powys LHB informed the Respondents that due to the failure to complete full, accurate and contemporaneous records there was no evidence that an FME had been completed only that a B2 or B3 had been claimed and decided that where this occurred the claim for a completed course of treatment should be disallowed. As a result the Respondents were required to repay the sum of £110,021.42. The Respondents disputed the claim to repayment and argued that necessary examinations (albeit not always an FME) had taken place and that the absence of a record did not bar payment for work validly done and services rendered under the GDS Contract. 1. Is a dentist obliged, when carrying out a banded COT to conduct an FME? 2. Does a dentist’s failure to comply with the obligation to record the fact that he has conducted a FME entitle the Board to withhold payment for treatment or services actually rendered or to reclaim money, which had been paid for such treatment or services? 3. Does a dentist’s failure to comply with his obligation to conduct an FME (in the circumstances where he is under such an obligation) entitle the Board to withhold payment for treatment or services actually rendered or to reclaim money, which has been paid over for such treatment or services? The Respondents submitted that there was no obligation on a dental contractor to perform an FME as part of a banded COT and that the term ‘examination’ in relation to a banded COT means an examination that was clinically appropriate. Wynn Williams J at first instance rejected the Respondents claim that an ‘examination’ could include a partial examination of the mouth (such as the part complained of by the patient) as this would not necessarily identify all the patient’s treatment needs. Gloster LJ observed that the GDS contract replaced the previous system of payment for per individual item of treatment provided. The introduction of the concept of “course of treatment” has important repercussions for a dentist’s remuneration: “The definition of the concept of “course of treatment” as meaning an examination of the patient, an assessment of his or her oral health, the planning of treatment to be provided, and the provision of any planned treatment, also informs what is required” . The Court of Appeal held that for an examination (as part of a banded COT ) to mean anything other than a FME would reduce clinical effectiveness and risk failing to diagnose dental problems at an early stage and also increase the risk of overcharging and treatment splitting . This question dealt with the consequences of failing to record that an FME had taken place. The Court of Appeal acknowledged that it is a contractual requirement to keep records of examinations . However they held that the obligation to record an examination was not a precondition to payment (or more accurately crediting of UDA) . The recording of a FME was not so vital that it went to the substance of entitlement to payment . The relevant question to consider was not whether there was a record of a FME in the medical notes but whether or not a FME actually took place. The recording of a FME in the medical notes is of course evidence (and probably the best evidence) that a FME took place. The Court of Appeal provided some examples of other potential sources of evidence that an examination had taken place such as treatment plans and third party sources such as the records of a dental technician. It is submitted that if an alternate source is relied upon then that alternate source would need to provide sufficient evidence of state of oral health of the patient to identify all treatment that is required to secure oral health of that patient. In the absence of a record of identified clinical need it will be difficult to ascertain when all identified treatment has been provided, which subject to the observations below, is a condition precedent for the submission of a claim for the provision of a banded COT. This question dealt with the consequences of failing to carry out a FME . The Court of Appeal held under the GDS Contact a dental contractor’s entitlement depends upon whether he has provided the UDA to justify the payment and that there was nothing in the wording or machinery of the GDS Contract which deprives the dentist of entitlement to payment where he has failed to carry out a FME. The failure to comply with his obligation to carry out a FME will mean that there is to be a pro rata reduction in his entitlement to payment. In coming to this conclusion the Court of Appeal considered provisions in the GDS Contract relating to incomplete COT and concluded that these terms provide that payment entitlement of UDA is pro rata reduced in circumstances where the COT has not been completed. It is submitted that there is a potential flaw in this reasoning. The GDS Contract allows for claims to be made for incomplete COT under specific circumstances set out in the GDS Contract for which notice of the reason for the failure to complete a COT must be provided to the LHB or NHS England (such as a patient not returning for the reminder of treatment). A dental contractor is then entitled to claim for an incomplete COT. The banding of the incomplete COT is determined by the highest banded component of treatment actually completed or commenced but not completed . In other words the GDS Contract allows a dentist to be credited with UDA for work he has done and not a reduction for work that has not been done - this is not a pro rata reduction. The cornerstone of the GDS Contract is that a dental contractor must provide all identified treatment pursuant to a single COT in order to complete a COT and be entitled to be credited with UDA. A FME is required for all banded COT . A dental contractor is required by the GDS Contract and (and professional obligations) to keep proper dental records. This means there is a contractual requirement on a dental contractor to record that a FME has taken place, the results of that FME and also what treatment is required to secure the dental needs of the patient. A failure to record in dental records that a FME has taken place does not in itself mean that a FME did not take place - there could be reliance upon other sources of information to evidence a FME. However it is submitted that this alternate source would need to record the identified treatment need and what is required to secure the dental needs of the patient. The recording of a FME is not a condition precedent for the crediting of UDA. The failure to carry out a FME will not disentitle a dental contractor to all UDA but there will be a pro rata reduction in the amount of UDA to reflect the failure to carry out that component of the COT. The observations by the Court of Appeal in relation to pro rata reductions can only apply to completed courses of treatment; after all there are clear provisions in relation to incomplete courses of treatment (such as informing the NHS of the reasons why the COT has not been completed). The Court of Appeal provided no information as to how the pro rata reduction should be calculated. It is submitted that the only way a pro rata reduction could take place without undermining the concept of COT is in the example provided by Gloster LJ - where there is a claim for B2 or B3 COT but no evidence that an examination has taken place there should be a reduction of 1 UDA. This is to reflect the failure to provide a required element which in itself would be a B1 COT if it were not part of the larger banded COT. The question as to how a dental contractor could know that all identified treatment has been provided (which is a requirement before a COT can be completed) in the absence of a FME is another matter altogether. Carl Harrison, 30 Park Place.